How does an LP differ from MICs and Private REITs?  Join our platform to learn more..
R2 is a technology and data driven platform that provides qualified individuals and institutions access to a wide variety of commercial real estate projects and learning opportunities. We combine in house proprietary technology with 3rd party APIs to bring cutting edge solutions to our clients. Our decades of institutional experience with cutting edge technology in order to empower our clients through direct access and greater transparency. Our team collectively brings over $20bn of transaction experience from leading institutions. Our extensive network and reputation as a capital advisor drives a steady flow of differentiated opportunities. We then employ a rigorous approach to understanding the real estate projects and simplifying them for our customers. We partner with top quality operators who have the operational and local market expertise relevant to each transaction. Our software and product teams hail from leading technology firms. Our focus on technology and data drives differentiated sourcing, more efficient underwriting, and a seamless client experience. What is unique about R2? We leverage the economies of scale created by the Internet to bring efficiencies to private capital markets - reducing the need for both time and manual resources. Our seamless and well integrated tech platform transforms the real estate capital formation industry in a big way by eventually replacing expensive sales and management teams with online applications, implementing data driven decision making, and automated APIs (application programming interfaces). Is the R2 online platform safe and secure? We use similar encryption that is used by major banks all over the world. We also use advanced technology to monitor and prevent security breaches. When I invest in equity, what do I own? When you invest in an equity opportunity, you are typically purchasing shares of an LP as a limited member. In turn, that LP owns (directly or indirectly), along with the real estate company and other investors, a share of a joint venture entity that owns a specific investment property, like a specific apartment building. An LP gives you liability protection, shielding your personal assets from the investment. What if I invested in equity and more money is needed for the property in the future? Am I obligated to invest more as an equity owner? Such investments typically do not have capital calls. A capital call is where the investor is required to commit more money to the property, beyond the initial investment. Rather than requiring an additional investment, it is possible that investors will be diluted if more money needs to be raised. While this is typically the case with equity investments offered in the industry, please check the offering materials for each investment to fully understand your liabilities as an investor.